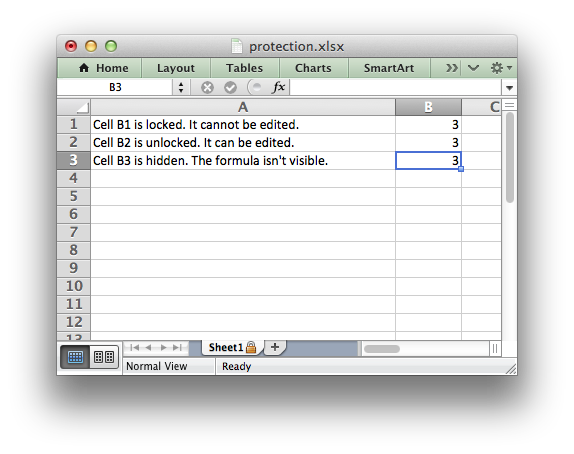 This program is an example cell locking and formula hiding in an Excel worksheet using the protect() worksheet method. # using Python and the XlsxWriter module. # Create some cell formats with protection properties. # Format the columns to make the text more visible. # Turn worksheet protection on. # Write a locked, unlocked and hidden cell. worksheet.write_formula('B1', '=1+2')  # Locked by default.